If fruit trees came with owner’s manuals, home gardeners inheriting fruit trees planted by previous occupants wouldn’t have so much trouble. Fruit tree problems are common in trees that have been planted with good intentions, but then left to their own devices. Many new fruit tree owners discover that there’s more to fruit tree care than just not killing them when immature fruit drop starts in the late spring or summer. If fruit tree blossoms aren’t thinned prior to opening, up to 90 percent of the small, hard fruit that develops right after pollination will eventually be shed from the tree. This can be a natural part of tree fruit development, since few fruit trees can divert enough energy from growing to support all these new fruits. Naturally, they shed the fruits if they can so that other fruits in the cluster or on that branch can grow larger. 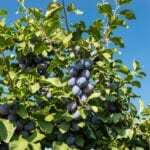 However, not every fruit tree is an efficient fruit shedder and even though they may drop small hard fruit, the remaining fruit stays small because of too much competition for resources. These fruits continue to develop and may remain on the tree throughout the growing season, eventually ripening into seriously small fruits. Without a healthy, immature fruit drop, the tree doesn’t have the resources to produce lovely, large fruits. If all fruit tree problems were as simple to cure as fruits that stay small, fruit tree growers would have an easy time. Often, training the tree into an open form with only a few main branches is all it takes to correct problems with small fruit, though fruit tree thinning on a very overgrown tree is more of an art than a science. The ideal number of bearing branches will depend heavily on the type of fruit tree you have, such as with peaches. 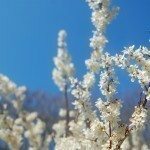 Picking blossoms from your fruit tree and providing it with proper fertilization is still recommended, even after you’ve pruned it into shape for fruiting. Remember that your tree can only produce fruit based on the support it gets from the outside world, so if the soil isn’t fertile enough to build big fruits, you’ll still need to help the tree along. PotatoesTypes Of Potatoes – What Are Late, Mid And Early Season Potatoes?